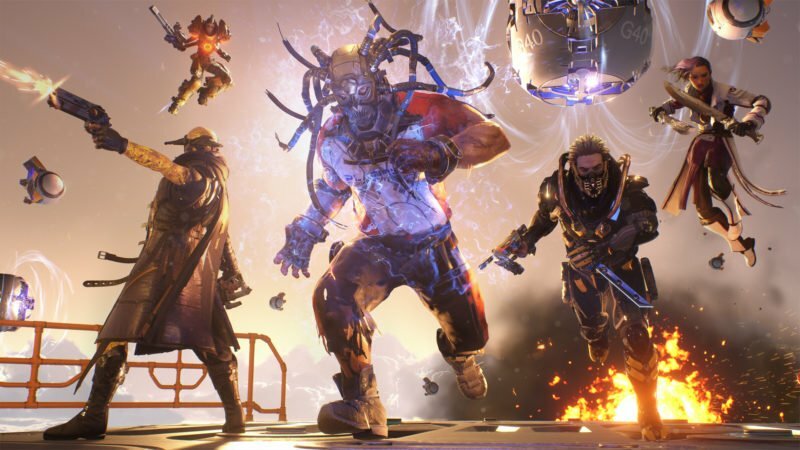 Arena shooters are finally making their well-deserved comeback, and LawBreakers is the latest title to jump on the trend. 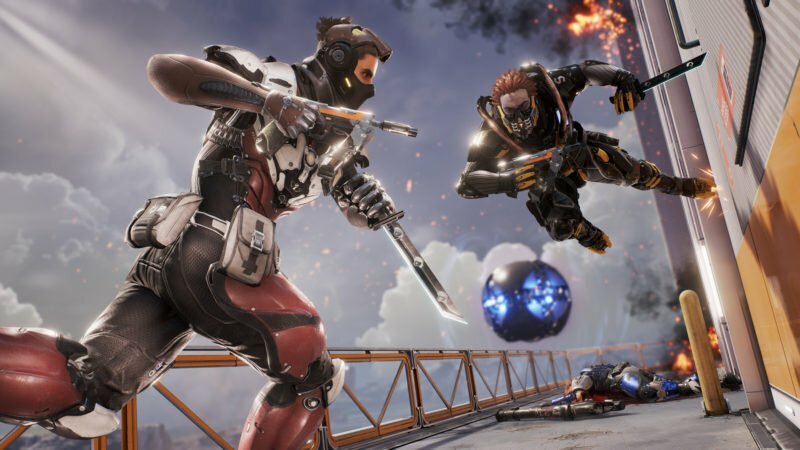 With high speed movement reminiscent of both Quake and Unreal Tournament, LawBreakers feels familiar, but is also unique. 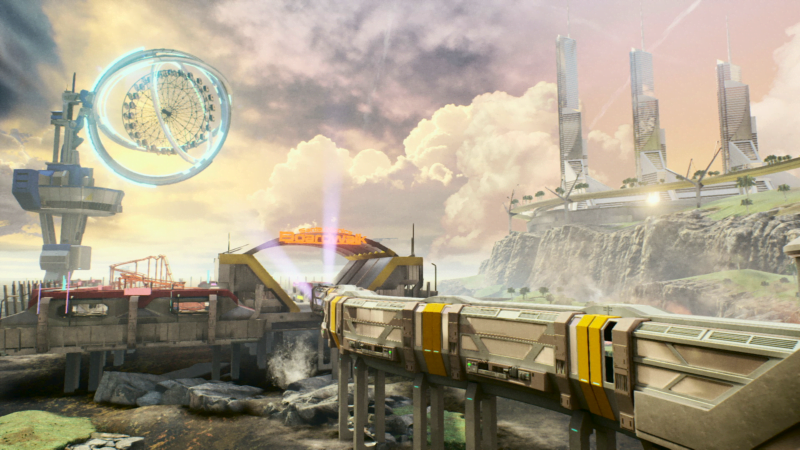 Where it sets itself apart is through the addition of vertical movement options, large low gravity sections on each map, and creating a title that has a very high skill ceiling. The result is one of the fastest shooters I’ve ever played, and a game that feels unique despite its similarity to others. The simple rule of LawBreakers is: If you stop moving, you’re dead. That’s no easy feat in a game that is constantly switching gravity levels between sections of the map. The movement in LawBreakers is fast, frenetic, and multi-dimensional, making gameplay fun and twitchy, but also incredibly difficult to master. In the short term, this will be a barrier to entry, and is going to frustrate a lot of new players who don’t have the time or patience to deal with getting wrecked for nine out of every ten matches. Some of this is due to the clearly bimodal playerbase where, at the moment, it feels like half of the players have been practicing every day since alpha, and the other half are brand new. This will likely balance more as the game’s playerbase increases and the skill levels even out. 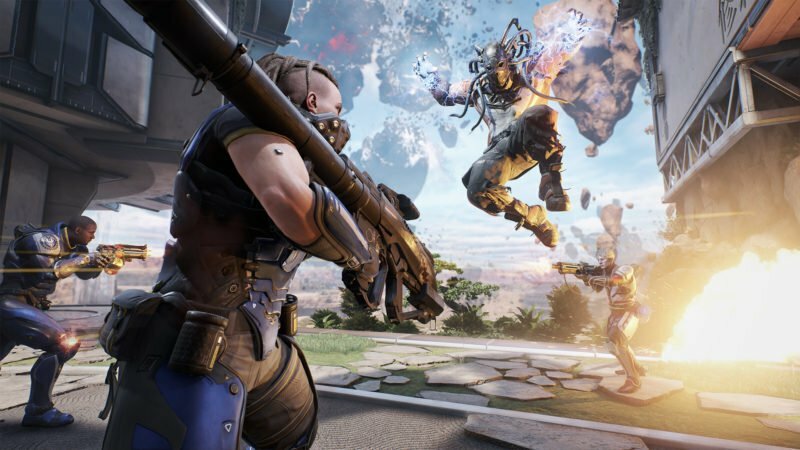 Long term, this high skill ceiling and initial difficulty sets LawBreakers up as a game players will need to invest time in before they can feel even the slightest bit competitive. Learning to master a character’s kinetic energy, and understanding how they move best across different maps is a challenge, but makes success even more rewarding. At launch, LawBreakers has a total of nine characters with cosmetic variants depending on which team the player is on. The general archetypes that we’ve come to know from class-based shooters are there (healer, glass-cannon, etc. ), but not all of them manifest in the same ways. Specifically, this comes in the way each character traverses the map. While some characters have jump pack abilities, around half rely on double jumps and sprinting to move around, which means mastering the maps’ low gravity sections can be very tricky. For new players, I recommend trying out the Harrier class as it has a built-in jet pack that quickly recharges, allowing for quick escapes, and easy navigation. The Harrier’s main weapon is also a simple chain gun that is much easier to hit than some of the other skill shot characters. Another dynamic that sets LawBreakers apart is the way it deals with health. Players don’t regenerate health over time, and there are only two characters in the game with healing abilities. This means players must be self-reliant and know where health packs and healing stations are on the map at all times. Keeping tabs on health is key, and can again be very difficult as it melts away quickly in fire fights. This will be familiar to players of Unreal Tournament, but diverges from many modern day shooters and can be an adjustment when switching over. In that vein, there is no doubt that LawBreakers will be compared to many of the other FPS games that are on the market right now (especially the reemergent arena shooters), and it does feel somewhat bare bones at launch. Currently there is only one matchmaking queue in LawBreakers, quick play. There are no options for what kind of matches to queue for, meaning that players could get thrown into any of the game’s four modes. When first starting out, this can be frustrating as the game is already difficult to master without constantly switching the rules. The developers are adding more queues after launch, but this seems like something that should have been there from the beginning. The game does provide tutorials to help acquaint players with the various modes and characters, but they come in the form of YouTube videos, rather than an interactive format. This speaks to the game’s lack of handholding, but also means many players will go into the game modes blind, unsure of how to play them. Why did we kill each other over a glowing blue ball? Who knows? However, all that being said, the game is priced at $30 for a reason, and in the developer’s own words, it’s an evolving title. Features like competitive will come with time, but the developers want to properly balance all the classes and give the community time to master the game’s complex mechanics before introducing new ideas. This isn’t a bad thing, but it might be a reason for some players to hold off on purchasing LawBreakers just yet. The gameplay feels very polished, but the basic systems surrounding it could still use some work. Overall, I feel that LawBreakers is an FPS with a lot of potential. The game doesn’t try to be accessible to everyone, and in the process makes one of the most difficult competitive shooters I’ve ever played, but also one of the most rewarding. Mastering character mechanics and landing sweet kill combos feels satisfying in a way that many other shooters don’t. While the game is lacking a few features at launch, I think that in the long-term great things are in store. For those who are looking to get in on the ground floor and hone their twitch combat skills, LawBreakers is your game. If you’re looking for something to pick up and play, it might be best to wait until the title has had more time to grow. While the game is lacking a few features at launch, I think that in the long-term great things are in store. For those who are looking to get in on the ground floor and hone their twitch combat skills, LawBreakers is your game. If you’re looking for something to pick up and play, it might be best to wait until the title has had more time to grow. honestly i’ve played all sorts of shooters, and if you have skill in any one of those youll be fine. You may be salty the first few matches – i was – but everything sort of clicks and you start playing well.